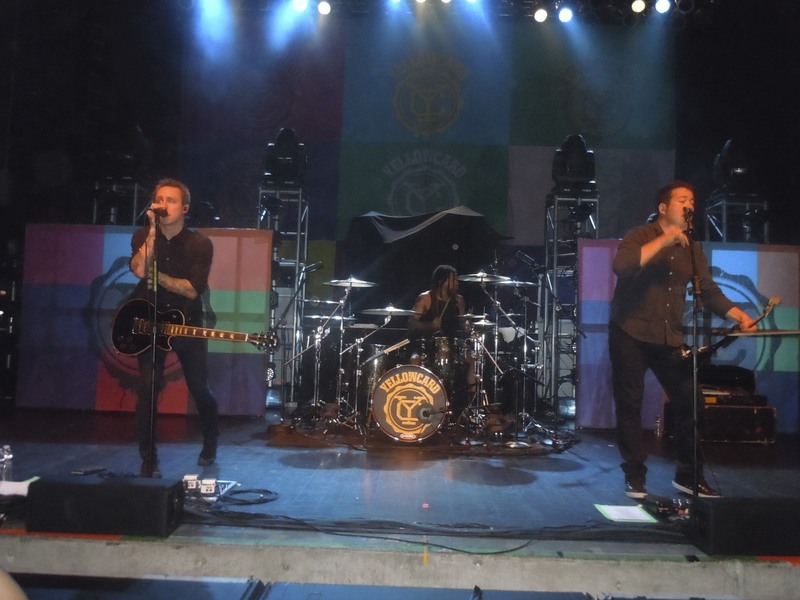 This past Sunday, I headed to Columbus for the All Time Low/Yellowcard/Hey Monday/The Summer Set concert at LC Pavilion. I picked by outfit with careful consideration. Because the band I was dying to see was Yellowcard, I grabbed a white Old Navy T with yellow stripes to pair with my dark washed jeans. To follow my own advice from a previous post, I threw on my black vest to dress things up a bit. 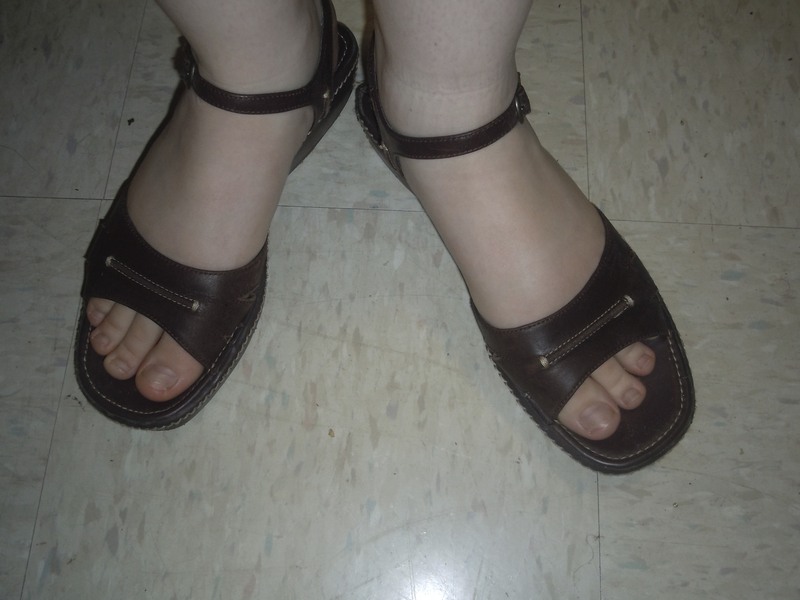 Throw on a pair of brown Sonoma sandals, and I was feeling pretty ready to rock out. 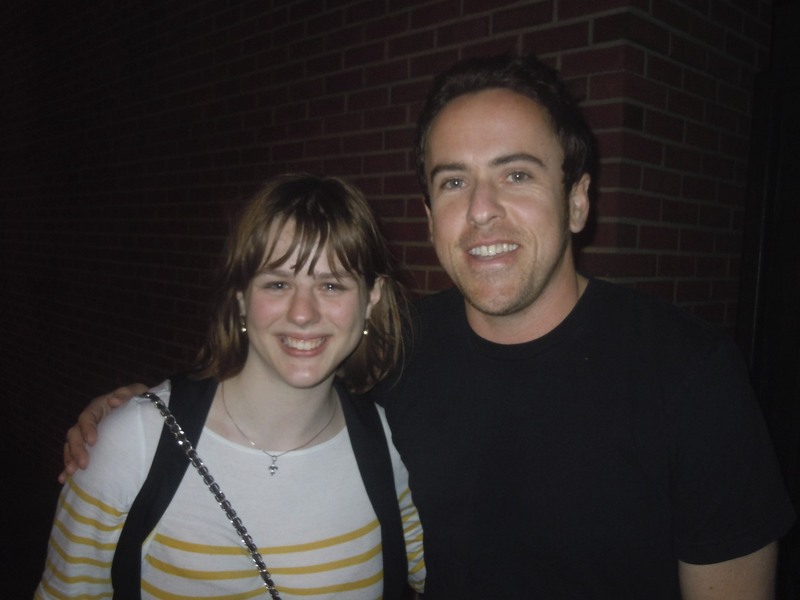 Me with Sean O'Donnell Yellowcard's bassist. More on that later. What I had forgotten to think of was that I was going to this concert with my best friend, and die-hard Yellowcard fan, Eric Miller. Because of this, I forgot that we would be spending most of the concert in “the pit” or the area in front of the stage. I neglected to think of the implications of spending several hours in a mosh pit in an attempt to get as close as possible to the stage. To admit, we were fairly successful in getting close. By the time Yellowcard got onstage, we had reached the second row of the pit. I didn't use the zoom on my camera for this. We were that close. In my defense, this had been my first time going to a concert where there was a mosh pit, so I came with few notions of what exactly I had gotten myself into. So this was a lesson in dressing for the occasion, and dressing properly. While most times if you show up looking amazing, you’re fine. But there are sometimes when just looking good doesn’t quite do it. So here are a few of my lessons learned for dressing for a concert. Great shoes, not good for concerts. 2) While the t-shirt was a good choice, I was quick to discover how hot the pit gets. Pack a couple hundred people into a space meant for half that many, and its going to get awkward. The vest was not such a good choice. All the bumping, shoving constant motion of the crowd made it easy for the vest to get caught on things, which did happen. 3) I actually followed this rule, but it was because I was warned. If you buy a t-shirt at a concert, you are required to wear it the next day. I absolutely love the shirt I got. Its jersey style with 3/4 length sleeves. Its the super-soft, favorite old tee type of material that makes this shirt not only fashionable, but comfortable too. 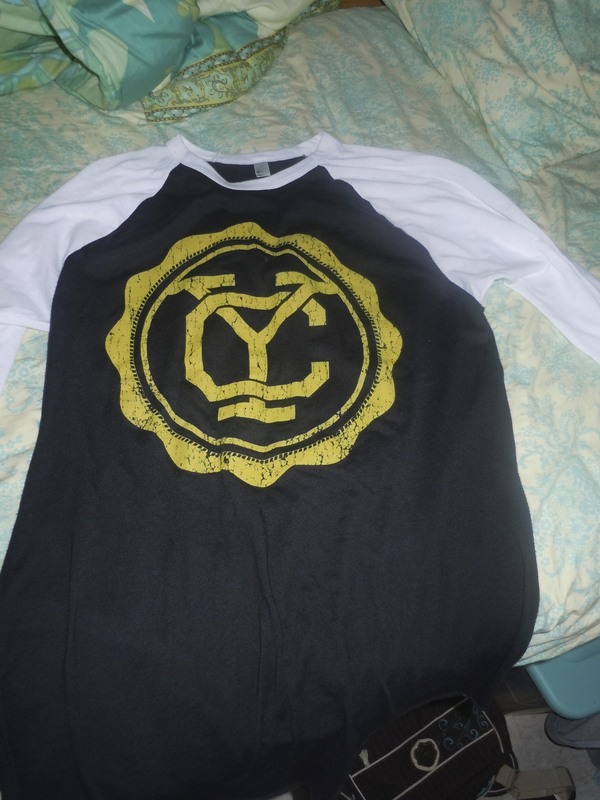 Added bonus: It has signatures from the bassist and drummer of Yellowcard on the back right sleeve. 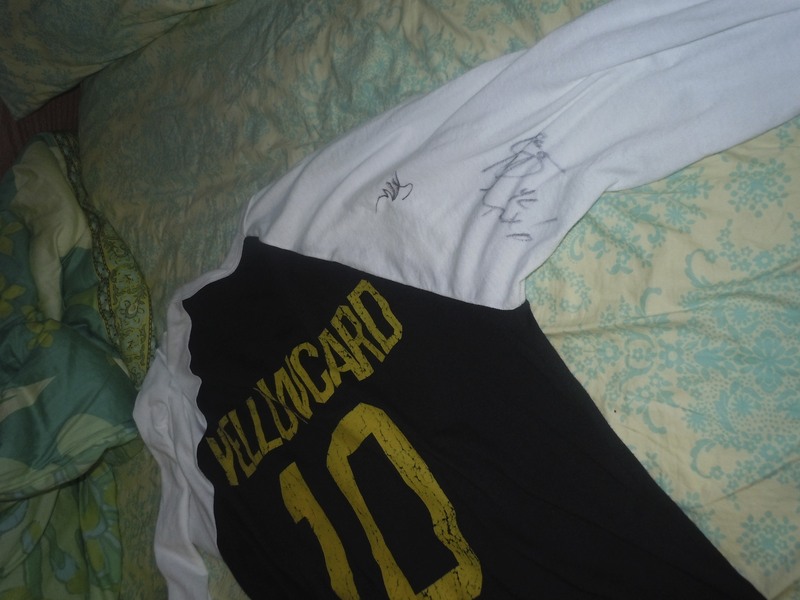 Back of shirt- signatures on sleeve.